While this may look great on paper, it is in the utilization of these resources where the rubber meets the road. Resource Utilization measures how effectively a company is making use of these available resources. When a company is underperforming in terms of resource utilization, this can increase project risk. It can contribute to scheduling delays and cost overruns. To avoid this from happening on your watch, here are six tips to help you optimize resource utilization on your construction projects. 1. Start with a comprehensive project management plan. Resource utilization begins with the project manager’s ability to put best practices, systems and processes in place to manage all key project elements. This includes: project integration, scope, time, cost, quality, human resources, communications, risk management and procurement. Equipment and materials management is also crucial. Sure it’s Project Management 101, but it is central to success. Particularly the larger and more geographically displaced the project site(s). 2. Put a system in place that allows real-time feedback on asset status. Are the allocated resources where they need to be, when they need to be? Are they being utilized or are they sitting around? Unless you are in the field, it can be difficult to tell. That is why project managers and other front office team members need regular and accurate updates from the field. This is particularly important in lean delivery systems where one element depends on the next. 3. Improve accountability by implementing daily reporting from the field. It used to be that project managers and those at head office were unable to confidently answer questions on the project’s current status – due to the lag time in receiving information from the field. With today’s cloud-based construction management technologies, you no longer need to wait days or weeks for updates. Platforms designed to enable real-time reporting help to resolve this issue. 4. Make it easy for site managers to comply. It’s human nature: the more time site managers need to spend filling out paperwork, the less inclined they will be to keep on top of it. And given our goal is to improve asset utilization, we don’t want to take site managers away from their important work by making data reporting too onerous. Fortunately, many of today’s field reporting tools are significantly reducing the time it takes to complete detailed reports from hours to minutes. To make life easier for site managers, prioritize which updates you require daily, weekly, monthly. A picture says a thousand words: so consider reporting tools that allow site managers to submit photos or video instead of typing or writing a report. 5. Regularly monitor and evaluate site managers and suppliers. Is a site manager meeting their targets and deliverables? Are they completing projects correctly, on-time and on-budget? Are they retaining their crews or experiencing high turnover? By using current and historical data, you can review, evaluate and compare the performance of individual site managers involved on your project. This information can be used proactively to show site managers where there is room for improvement. It can be used to hire high performing crews over low performing crews. Finally, it can help determine if a site manager is a liability or an asset, so you can act accordingly. 6. Use data to guide and build on resource utilization improvements. The data and insights you collect around resource utilization can be applied to future project and related decision making. 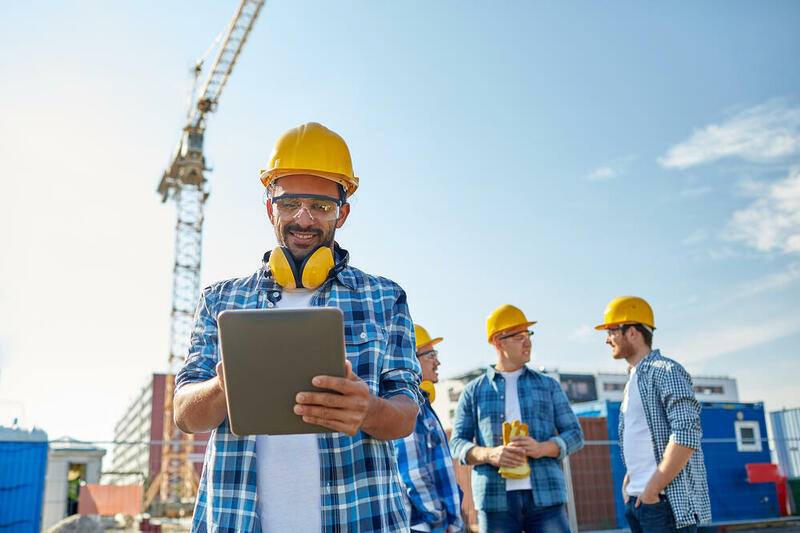 Today’s advanced construction management platforms that offer analytical and reporting tools can provide a wealth of insights that not only improve jobsite resource utilization – but enhance overall productivity and profitability. Resource utilization is an important part of any project, but is just one of the ways in which the construction management industry is shifting. To learn more about the digital future of construction management or how to streamline your projects, watch our free webinar.